I have a bunch of very exciting loom knitting news to share with you. 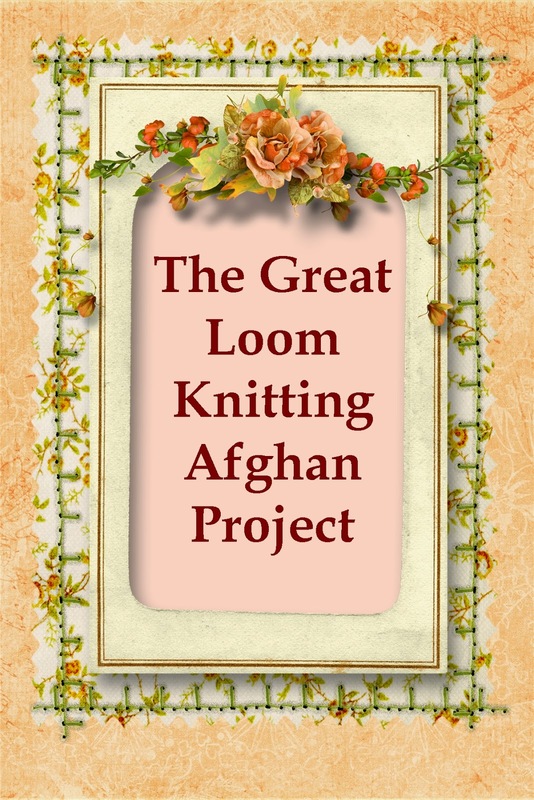 The first is "The Great Loom Knitting Afghan Project". This is a wonderful collaboration of 8 designers for the benefit of Doctors without Borders. We are all contributing afghan square designs to an e-book. The e-book will be available for pre-orders in a few weeks, and published January, 2015. All proceeds will be donated to Doctors without Borders. Books that are pre-ordered and purchased in January will be entered in a prize drawing for a loom and loom pattern books, and some other surprises. The book will only be available during 2015. Every month of 2015, the Loom-a-long group in Ravelry will have a loom-a-long for one square. I'm the lucky editor of the book, and I must say that the patterns are AMAZING. Watch for more announcements as we get closer to publication. 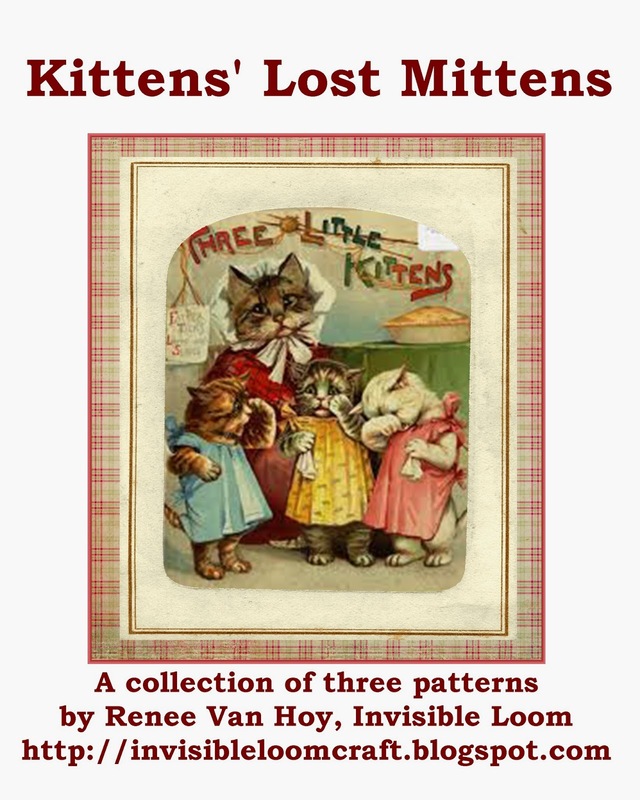 The Ravelry Loom-a-long group has been working on making mitts and mittens from my Kitten's Lost Mittens e-book. The loom-a-long ends in November, but December is our "unfinished objects" loom-a-long, so please bring anything you are working on and visit with the group. 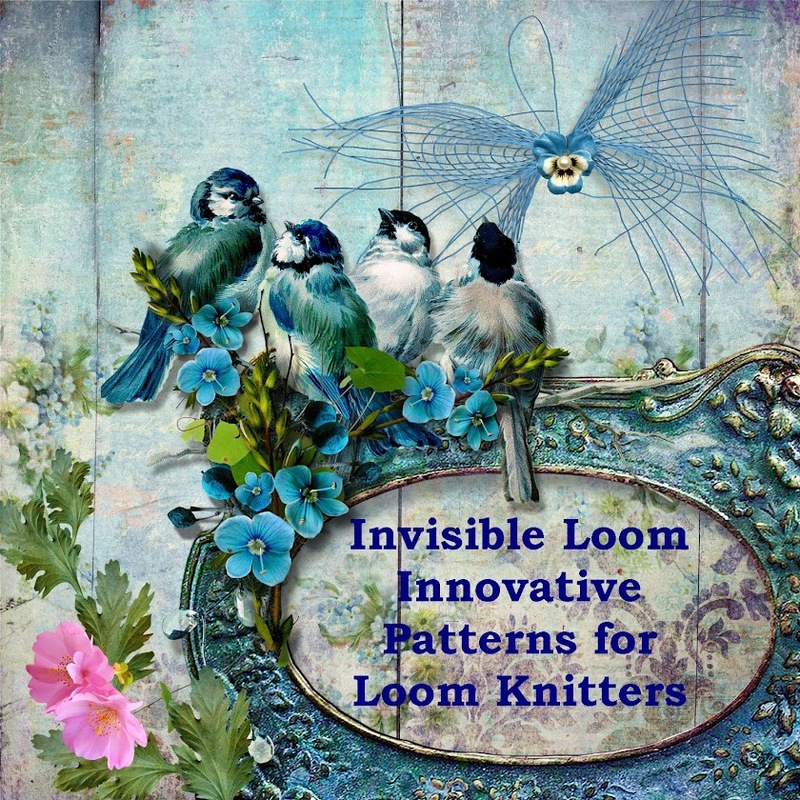 We've started a group for loom knitting pattern designers over on Ravelry. If you are designing and entering your patterns in the Ravelry pattern database, we would love to have you join our conversations. 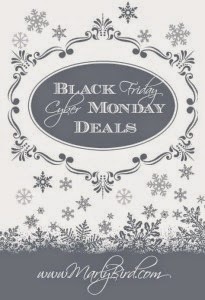 Starting this Friday, November 28, 2014 through Monday, December 1, 2014, I have a 20 percent off sale for all of my patterns and books. 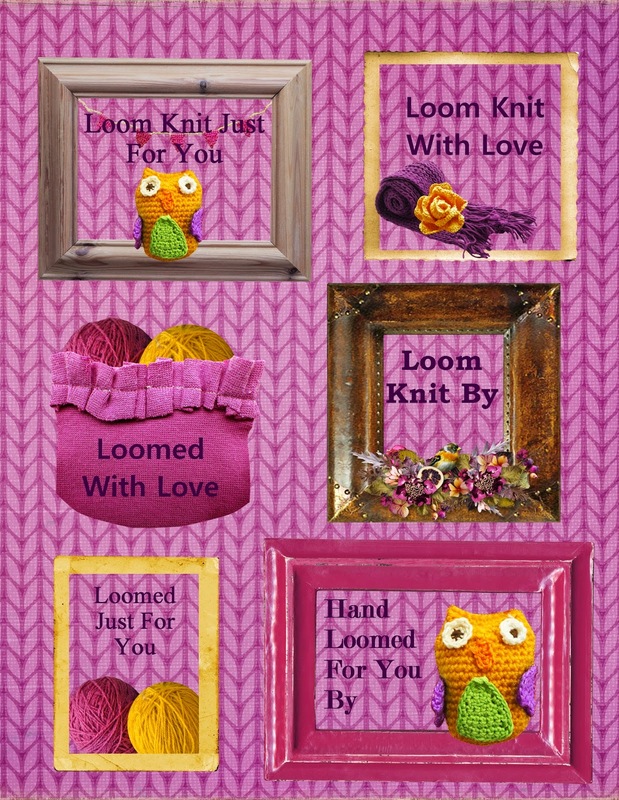 Enter the code LOOMLOVE at check out for the discount. Marly Bird will also have a huge listing of yarny specials over the holiday week and weekend for you to check out. This little page of gift tags might be fun for your holiday gifts. Please feel free to print it out and enjoy the tags. Copyright 2014 by Renee Van Hoy, Invisible Loom. All rights to text and photos reserved. Please do not use my photos without asking me first.